Since 2003, ALZETA has teamed up with Power Flame Inc. to supply its CSB™ ultra low NOx combustion technology to the firetube boiler industry. 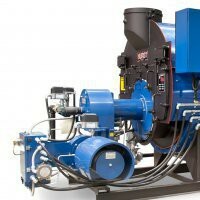 Utilizing the CSB’s pre-mixed, porous alloy metal firing head technology, Power Flame’s NovaPlus™ package burner systems deliver single digit NOx performance for commercial and industrial steam, and process heating applications from 50 to more than 2000 boiler horsepower. In 1995, Edwards Ltd, in collaboration with ALZETA and SEMATECH, commercialized the Atlas™ Thermal Processing Unit (TPU) exhaust gas management system. 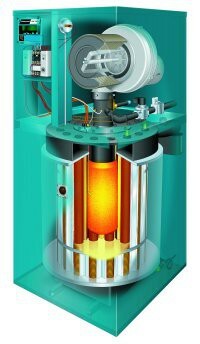 A highly effective ALZETA inward fired ceramic surface combustion tube is the heart of the system designed to treat difficult-to-destroy chemical compounds. The TPU/Atlas family of products now sets the industry standard for cost-effective and reliable treatment of process exhaust gasses. 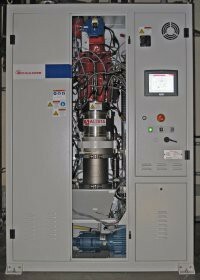 Tens of thousands of these systems are now in use in semiconductor manufacturing operations worldwide. Working closely with ALZETA, in 1997 Burnham Corporation introduced the Evolution®, a high efficiency, low emissions commercial hot water boiler now sold by Thermal Solutions, a Burnham subsidiary. Utilizing finned copper tube heat transfer surfaces located very close to the ALZETA ceramic radiant burner surface, and the latest in web-enabled controls, the Evolution® provides commercial and institutional building heat with very low emissions and excellent reliability.